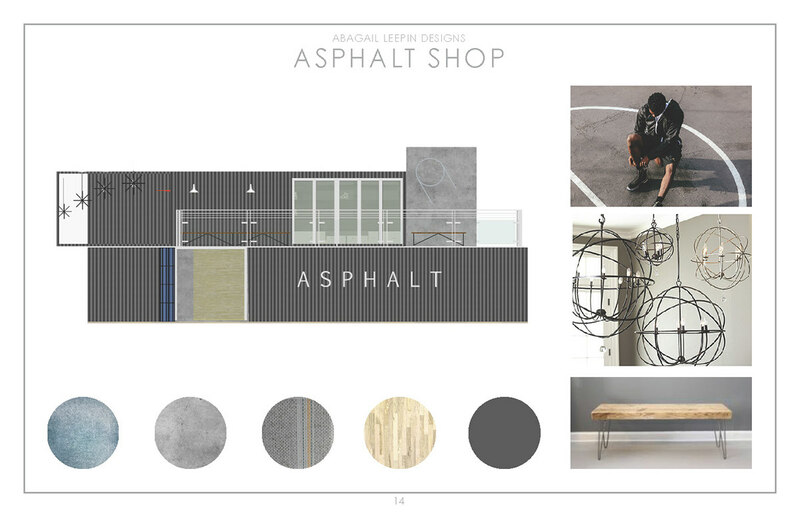 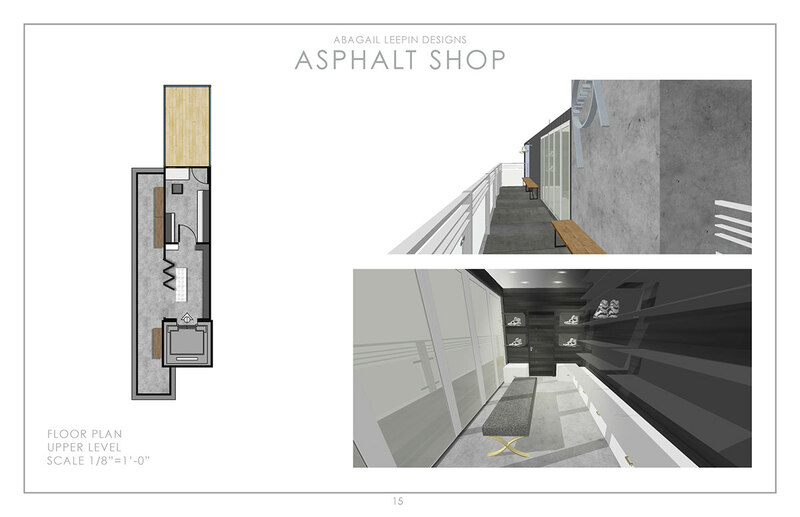 Using shipping containers, I designed a temporary retail space for a upcoming athletic wear designer . 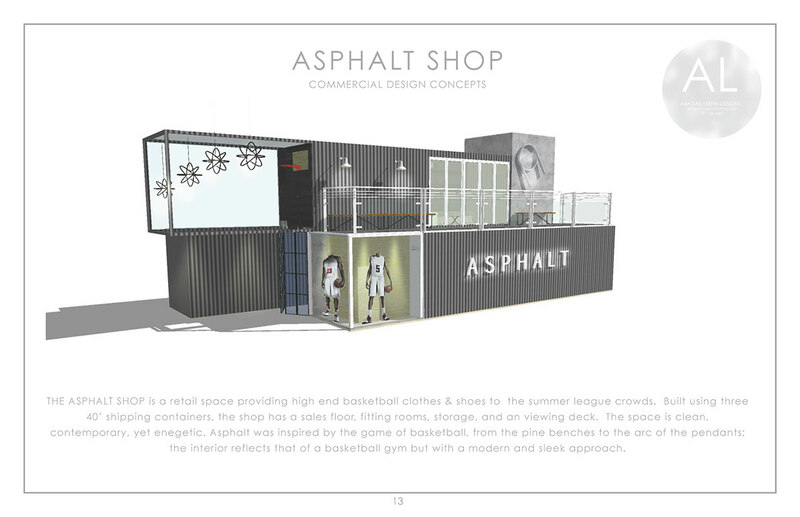 The shop will be located a different summer league tournaments throughout the world. 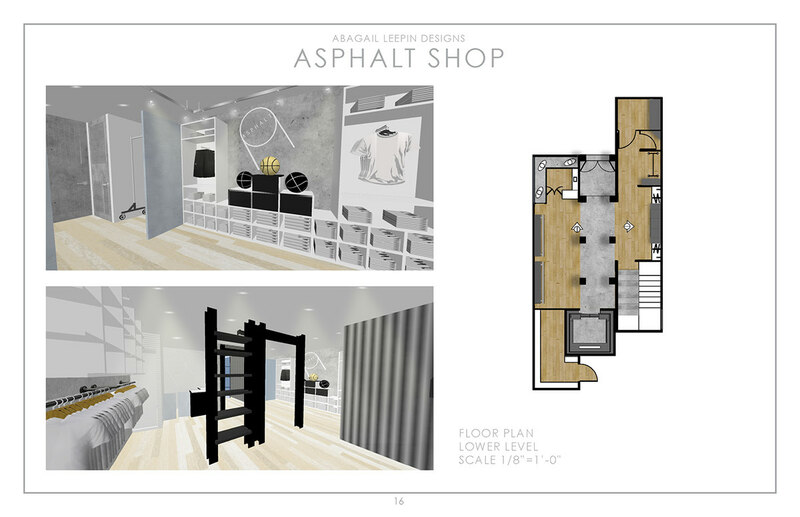 The space holds a sales floor, fitting rooms, storage, and a balcony to view the games.